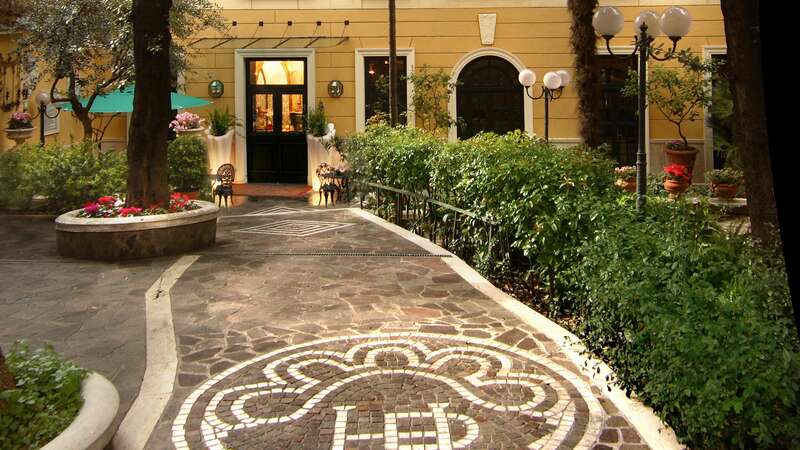 Villa Saint Lorenzo Hotel is situated in the historical area of Saint Lorenzo in Rome, close to Termini Station, the university area and well linked to the Historical Centre. 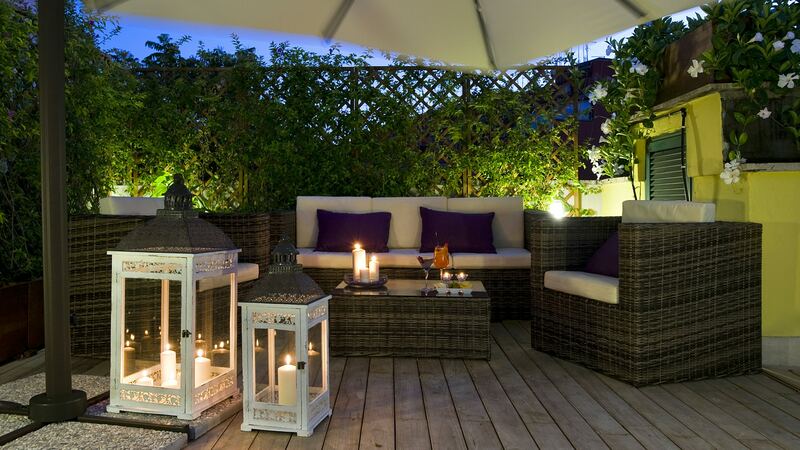 This elegant hotel, constructed in 1910, which was once a noble residence, offers a choice of modern comfort, amongst which, refined interiors, the parking area and a charming garden surrounded by flowering shrubs. 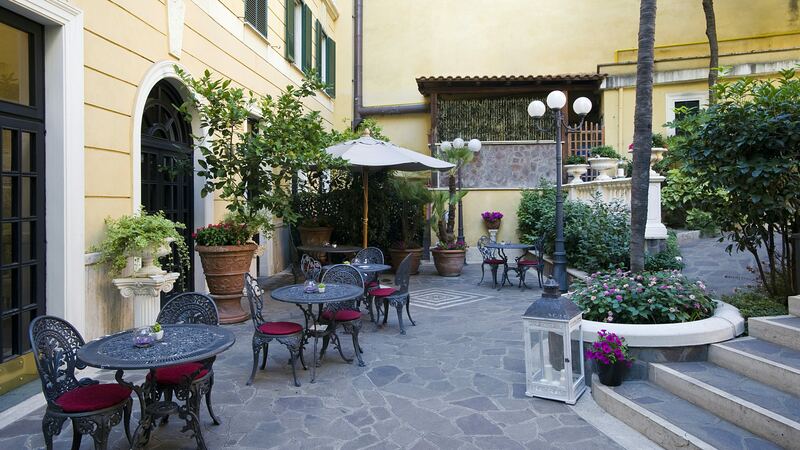 Saint Lorenzo is one of the most animated areas in Rome. 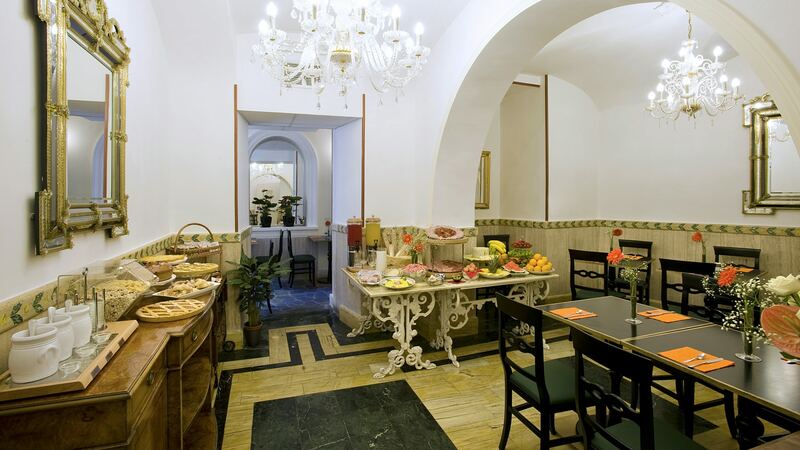 The hotel is surrounded by numerous restaurants, taverns, small and welcoming pubs, cafés, pizzerias. 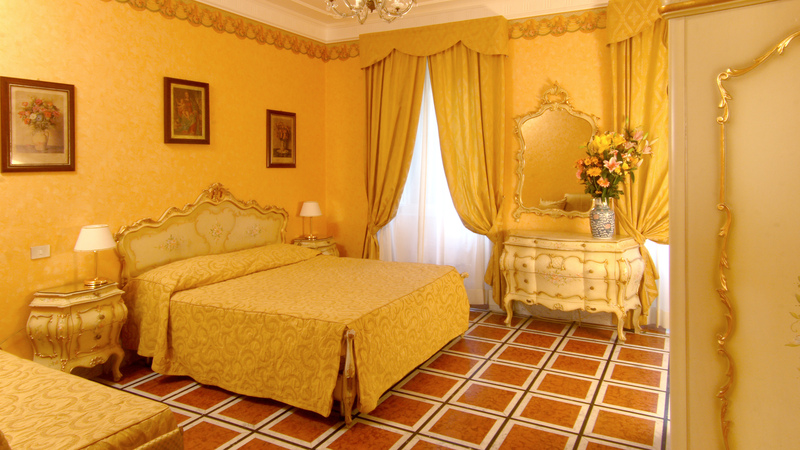 This is the Hotel Villa San Lorenzo Maria. 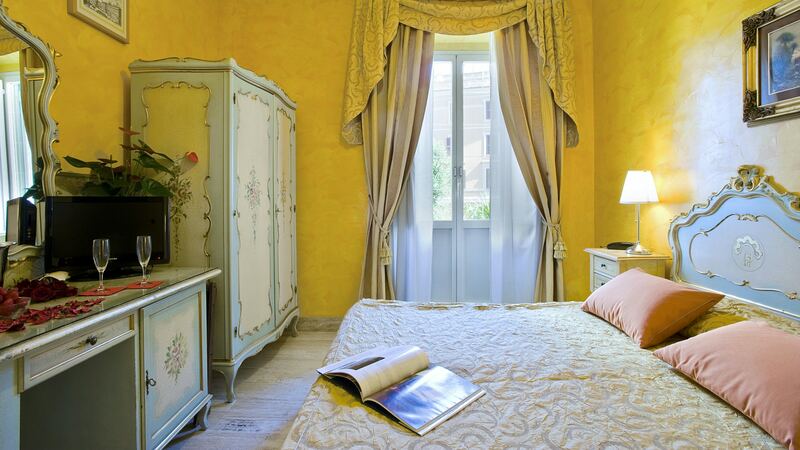 Warm and cosy room with a single bed, characterised by classic, simple furnishings in pastel colours. 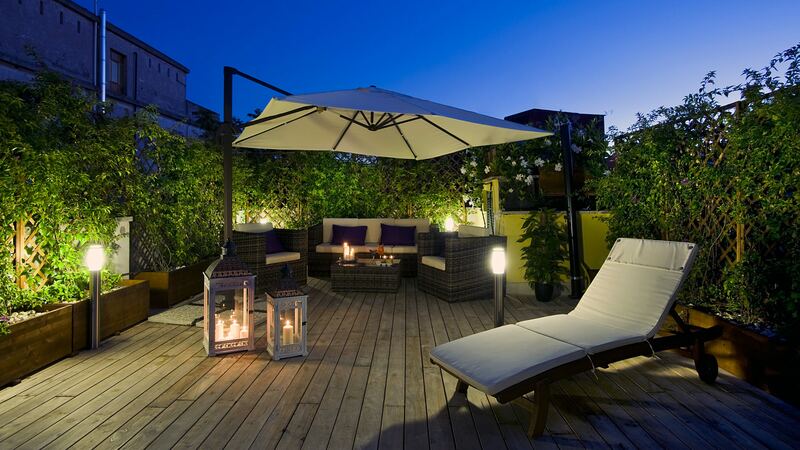 Perfect for business or study trips. 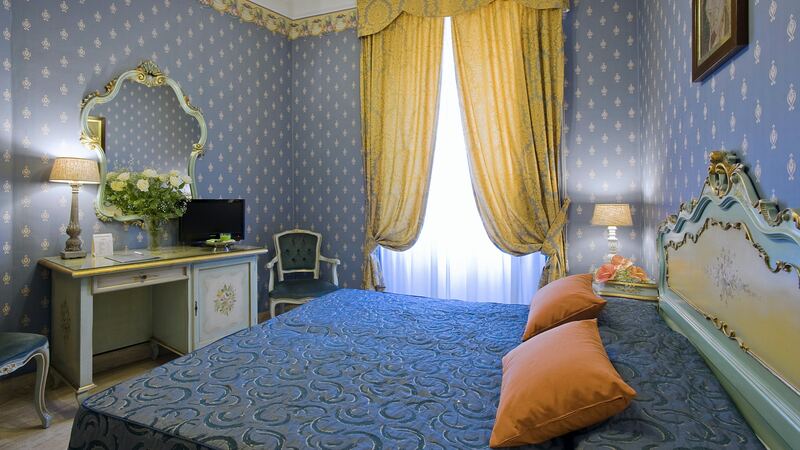 Comfortable, elegant room for one guest, with all mod-cons, stylish furniture and relaxing pastel colours, perfect for an enjoyable holiday in Rome. 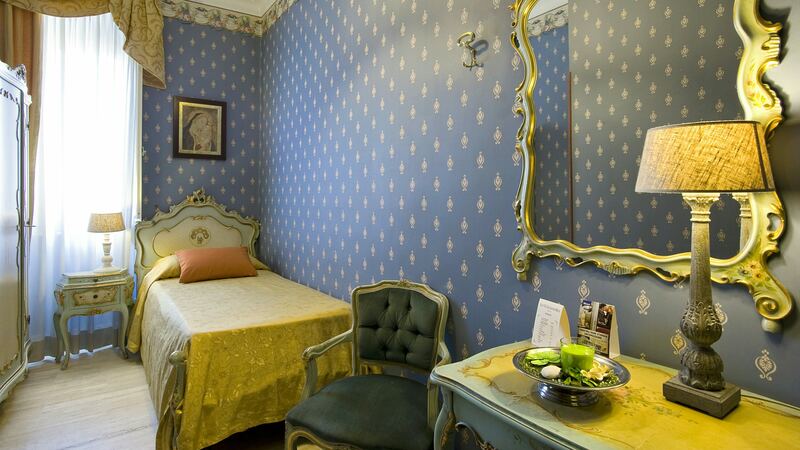 Practical and cosy room for two, where the "art deco" charm of the hotel blends perfectly with the furnishings. 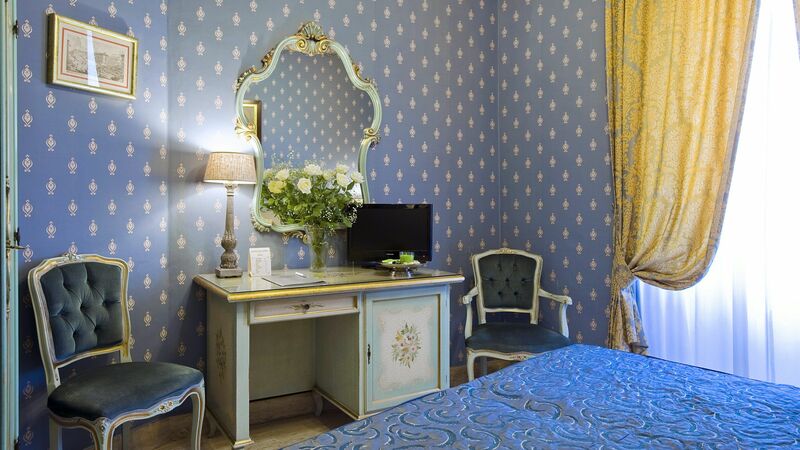 • The wireless internet connection is available in the public areas and the service is against payment. • Small pets are allowed upon request. • Public parking is possible at a location nearby (reservation is not needed) and costs EUR 1 per hour.